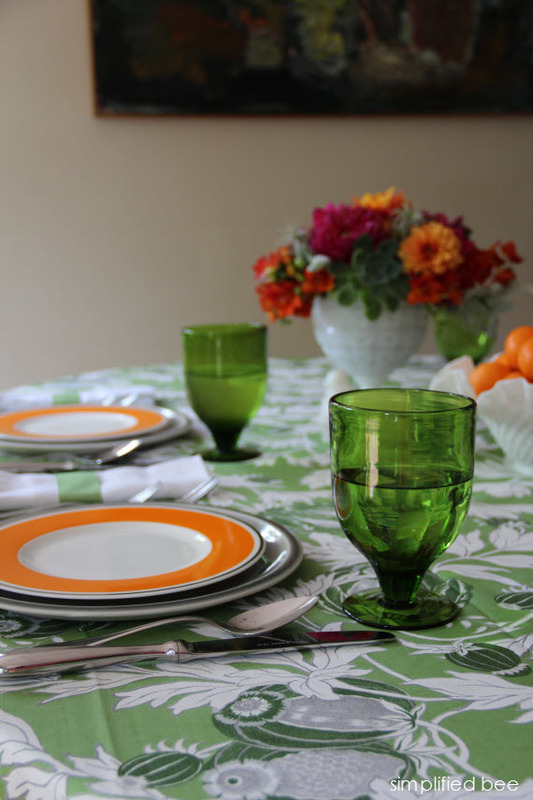 There is still plenty of summer left for entertaining family and friends and so today I’m sharing a recent tablescape inspired by the warmth, color and bounty the season brings. 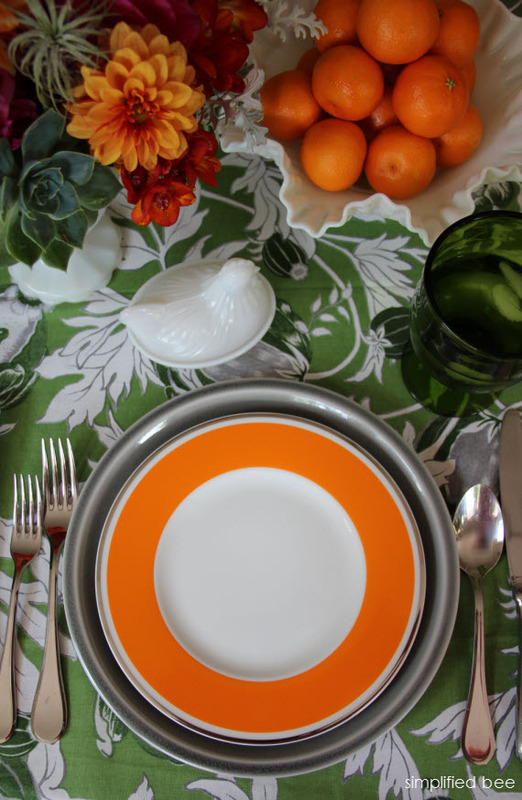 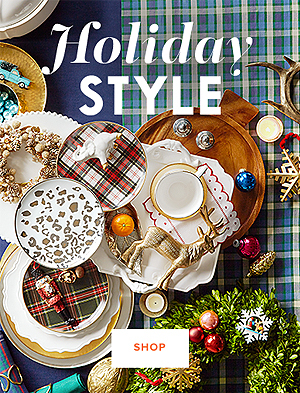 The beautiful plate with tangerine band by Villeroy & Boch, the creator of extraordinary dinnerware treasured worldwide, was the launching point for the vibrant color palette. 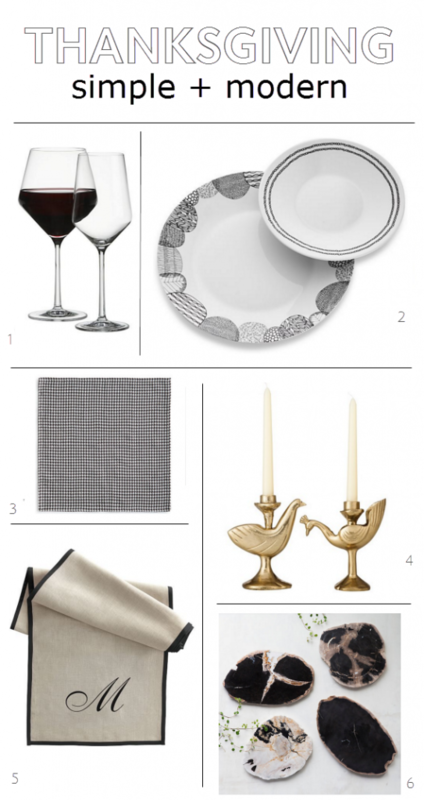 For a layered look, the classic plate was placed atop a glazed stoneware in grey. 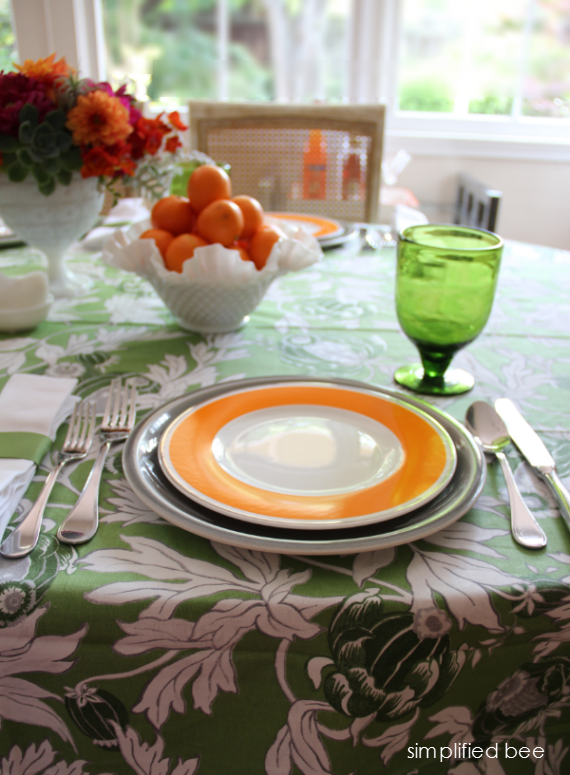 It’s an eclectic look, but it works because the fine platinum trim of the plate is picked up in the grey stoneware and green tablecloth. 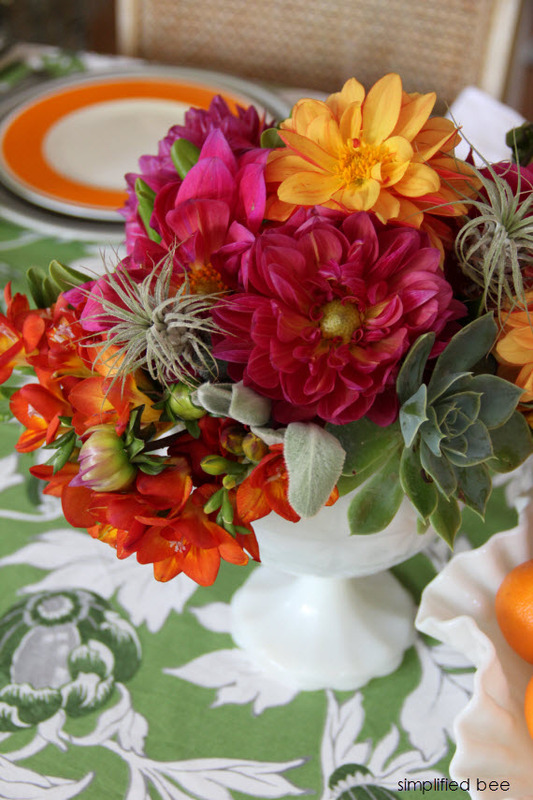 The tabletop blooms are simply seasonal garden flowers and succulents that pull together the color scheme. 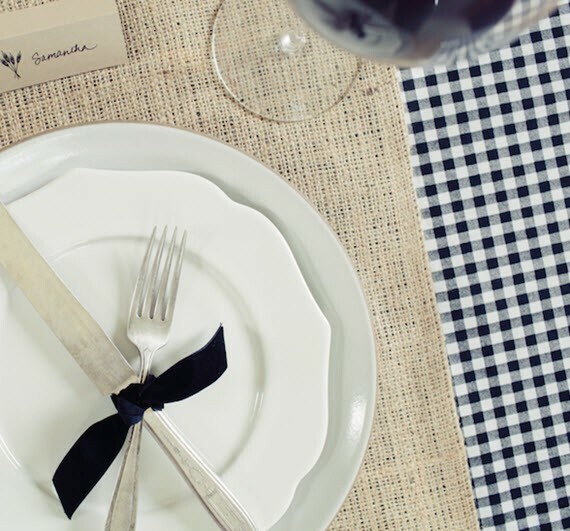 They were arranged in a vintage milk glass vessel well below eye level so they wouldn’t impede conversation flow. 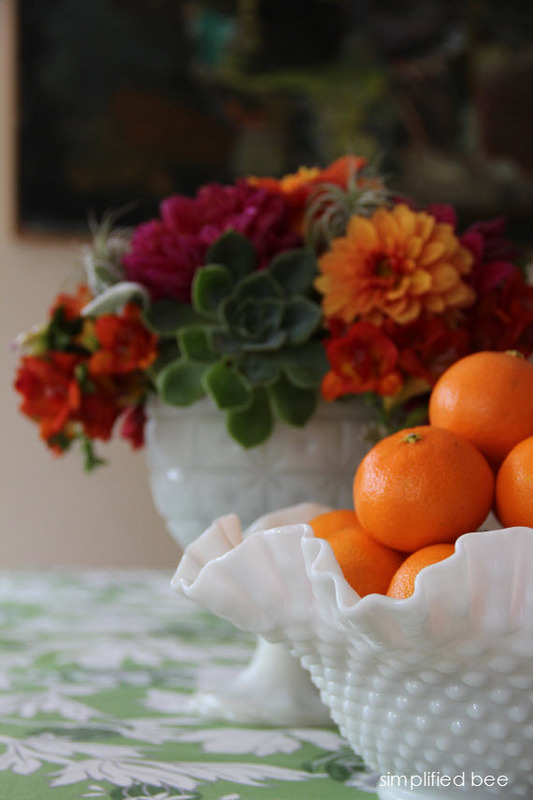 I paired the floral arrangement with a bowl of tangerines also in a vintage milk glass bowl. 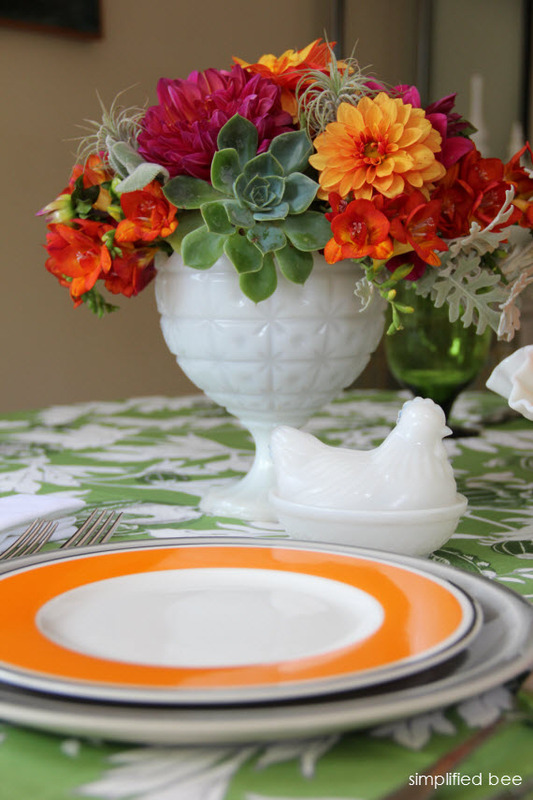 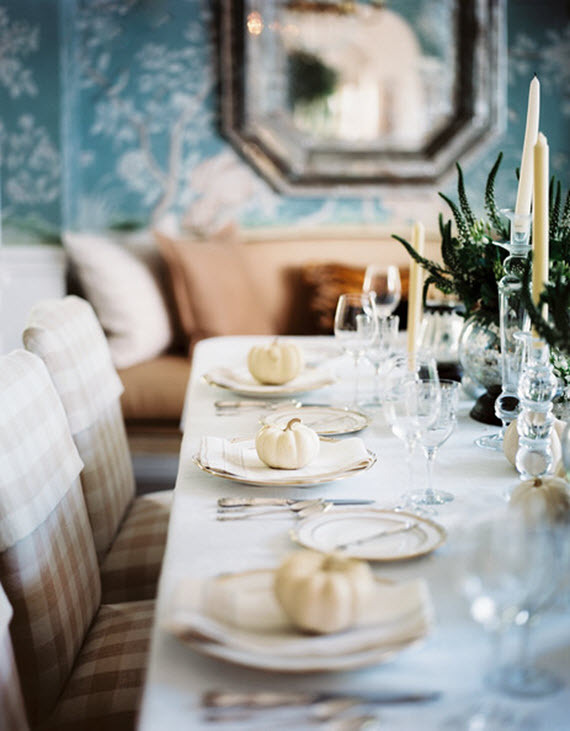 Hope this little tablescape inspires your next summer dinner party!